Moriarty, NM – ERGO is proud to announce the newest addition to their ERGO 2 AR Grip line-up. The Camouflage ERGO 2 AR is over-molded with SUREGRIP rubber in camouflage pattern for an exciting and unique way to dress up your AR-15/AR10. The new camouflage SUREGRIP rubber over-molding process produces a different design every time and the SUREGRIP rubber provides a non-slip grip which is virtually impervious to oils and solvents. Ergonomically engineered for a comfortable fit. An integrated rear upper extension supports the web of your hand while the finger grooves provide a secure grip on your AR. ERGO 2 AR Grip can be installed on both .223 and .308 AR-15/AR-10 type receivers. An A2 inner cavity is built in to support many of the aftermarket accessories available. UNIQUE LOOK: Every Camouflage ERGO 2 AR Grip will have a unique design. AR15/AR10 Grips – ERGO’s new camo pattern is available in the ERGO 2 (SKU#4010) and joins the seven existing colors available for this grip. Each ERGO 2 is over-molded with SUREGRIP™ rubber for added grip and comfort. · Design allows installation on both .223 and .308 AR-15/AR-10 type receivers. Available now for $32.25 at ERGOGRIPS.net. Save 20% off instantly by signing up for ERGO’s newsletter. 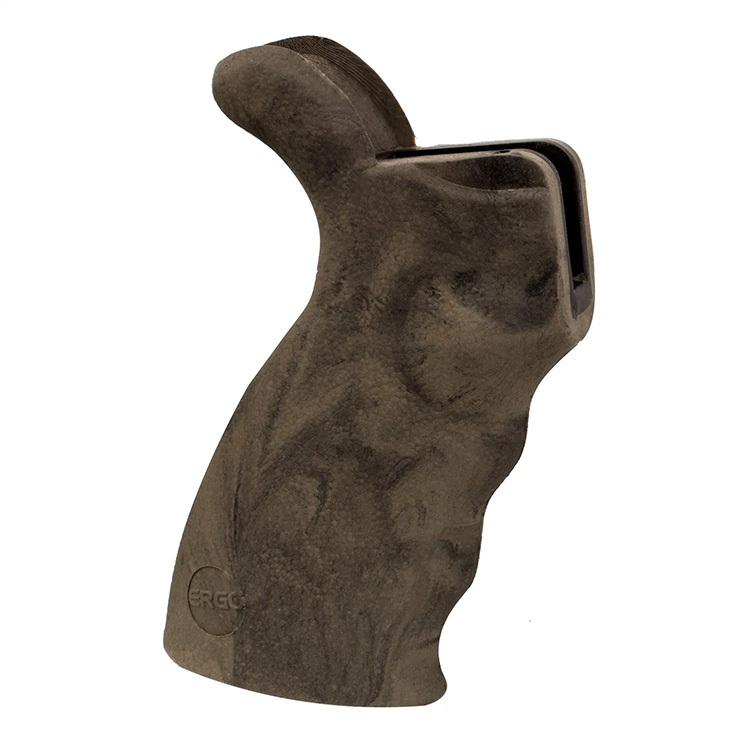 Visit ERGO’s website https://www.ergogrips.net/shop/ergo-2-ar-grip/ to learn more.